Alexander Nikolaev is all the way from Krasno-yarsk, Siberia in Russia. He is a self confessed science-fiction enthusiast and this fervour is reflected in the high quality of his digital art created with Pandromeda’s Mojoworld. 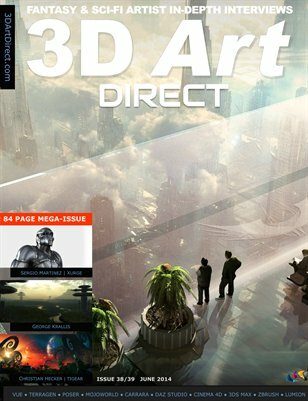 He speaks about how he became involved with 3D digital art and talks us through some of the making of his portfolio. 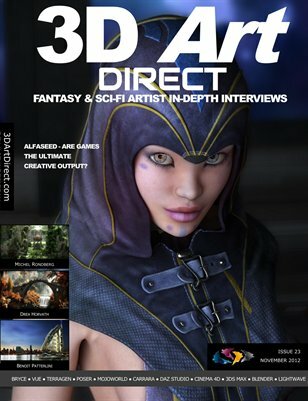 The following interview is taken from Issue 3 of 3D Art Direct. 3DAD: Tell me about yourself. Where are you from? What is your profession? AN: My name is Alexander Nikolaev. I’m 36 yrs of age. I live with my wife Natalia in the Siberian city of Krasnoyarsk in Russia. My profession is designer. My hobbies include computer games, 3D graphics arts, new age/electronic music and marine aquariums, the latter being part of my profession. 3DAD: Was your first introduction to digital art with Mojoworld? 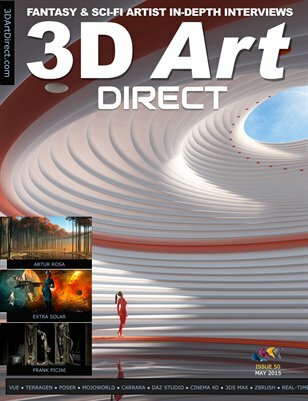 What is your earliest history with digital art? 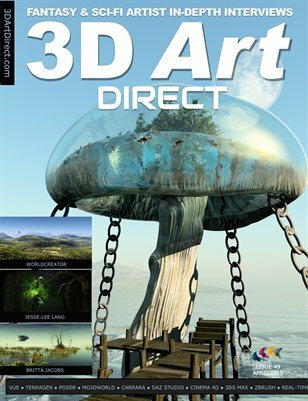 AN: My adventure with 3D art started in 2006, when I bought a magazine with a CD containing Terragen. After a yearI got acquainted with Mojoworld. 3DAD: Did you work with traditional art or photography before doing digital art? AN: I had always liked to draw, but on a paper. 3DAD: Are you a sci-fi fan? What are some of your biggest influences in your artwork? AN: I love the Sci-fi genre and love sci-fi movies (Star Wars, Aliens and others), games (Egosoft X-series). I very much like to listen to space/electronic music (Mark Dwane, Jonn Serrie). I think I am the ultimate fan! 3DAD: When you first used Mojoworld, what made it exceptional for you? What made it special? AN: It was the possibilites to work with a whole planet and its surrounding space. I liked the interface and I took to the software at once. 3DAD: Did you find Mojoworld’s interface difficult to learn at first? Is the biggest difficulty with learning Mojoworld? AN: I found it a pleasant and user-friendly interface. For the creation of your first planet it is possible to use a Planet Wizard – which makes it very simple! But there is greater difficulty when learning the many different parameters and nodes when studying the Function Graph Editor. There are some aspects of Mojoworld that are difficult to learn. 3DAD: One of the challenges of Mojoworld is sometimes importing models. How have you overcome these challenges? AN: Undoubtedly, this is a challenge. I think it is an essential function for any modern software generator of landscapes. 3DAD: What are two of your favourite aspects of Mojoworld? AN: The potential quality of the final image and the opportunity to work with the whole planet. 3DAD: If Mojoworld was to be developed further, what would you have improved or added to it? AN: To support multi-processor rendering and a new generator of vegetation. 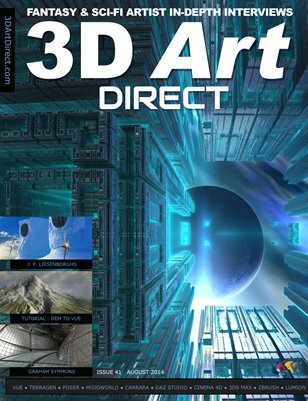 3DAD: Do you use other software such as Vue or Terragen? AN: I like what Vue has to offer, especially EcoSystems™ – it is cool!!! 3DAD: What hardware box do you use? Video Card Palit GeForce GTX 275 /896 MB. 3DAD: Is the Sine City series of images you have done one of your favourite acheivements? What gave you the idea to create the Sine city planet? What was the hardest challenge in creating it and how do you overcome it? Do you have a favourite Sine City? AN: The idea for the creation of a city was born naturaly. I had created the surface of a Mojoworld planet reminding me of strange buildings. I began to work with this world, developing it further. Warren Turner (Woz at Renderosity) was a great help to me; he created cool material, including mirror windows. It was hard to create a more accurate form of buildings but I have succeeded to do it. I consider the Sine City series one of my best achievements. My favourite Sine City is verison 7 in all its varieties. 3DAD: Spirit of Mars is a nice piece and your latest entry in your gallery. AN: Thanks! I want to make several more images of those dedicated to the “red planet”. No doubt! 3DAD: I really like your “Asmodeus” and “Pelloris” asteroid images. The lighting in both images creates nice depth and perspective. Are you proud of these? AN: I am glad that you like these images and you have mentioned depth. For me it means to obtain the looked-for result ! I hope to return to the images of the meteorites. 3DAD: “Destroyer 2” . There are nice textures here. Is this using the sunset parameter on the planet? Did the model import okay into Mojo, or did it need tweaking a bit? AN: I used an imported model for the ship. The planet used a very bright orange atmosphere with a sunset parameter. For this scene i used additional light sources. All postwork was done in Photoshop as always. 3DAD: “Sine City 7” – it looks like you have dedicated this to your friends who’ve supported you with your artwork. What has the Mojoworld community been like throughout your devotion to this software? AN: Yes, i have devoted this image to all who supported me all this time. 3DAD: “Solar Ritual”. Planet Chasma is a great planet to work with. Great land material and textures – I’ve used it for some of my own images. AN: “Chasma” is my favourite planet! 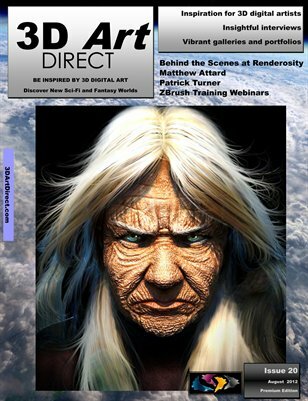 I have the greatest respect for Olivier Cousinou (hillrunner at REnderosity). I have made some images of this beautiful world, with the consent of the author. 3DAD: “Zorba Desert”. 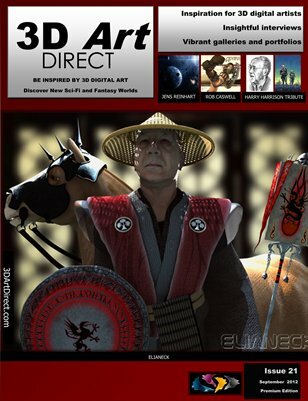 You have used OnyxTREE STORM 3D models in this. I’ve seen other examples where this has been used to great effect in Mojo. Pity that it can take a long time to render the vegetation in Mojo if it’s used too much. AN: This is the most successful example where i used OnyxTREE STORM model. Also there is “Shore of Hope” using OnyxTREE STORM – my second work in Mojo. It is a pity that quality of the MojoTree module leaves much to be desired. 3DAD: “Observer”. Tell me about this image, you’ve used a lot of elements to build this image. You have used the volumetric container and the isosurface to create the alien spaceship here – a great idea. Do you plan to use these again for other images? AN: Yes, for creating this scene I used the Volumetrics plugin. For the creation of alien ship, I used the volumetric container and isosurface, based on the Hexagonal node. I also used the Hexagonal Boulders by Slav for drones. 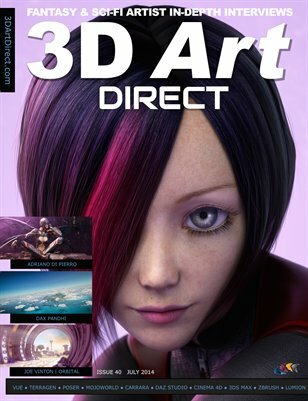 3DAD: What three tips would you give to those who are just start-ing out with 3D digital art? Tip 1: Continuous and consistent use of the software will bear fruit. Tip 2: Be not afraid to experiment, sometimes it gives rise to great ideas—and great works as a result. Tiip 3: Dream… And if even if a part from what you dream is to be embodied in your works, consider that you have excelled! 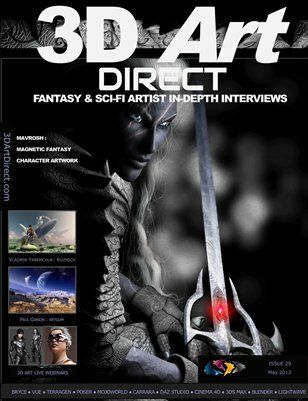 I would want to wish to all readers of your periodical and to you: Creative successes, inspiration and fresh ideas! If your skills bears good works, it is always pleasant to speak about it!